Garden Design: How Long Before My New Landscape Fills In? The upper photo is of a planting just installed in July in the NJ area. The next step is mulch and then I have to wait. The photo below was taken 10 months later. 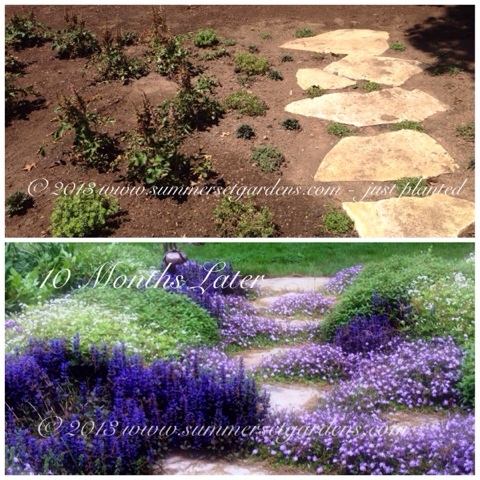 I've been doing jobs like this for quite some time and I still have a difficult time convincing clients that their new planting will fill in within a year or two as in the bottom photo. Choosing the right plants for the right location, using the right soil mix, feeding and water will give you the same results that I get. Landscape architecture and garden design in the NJ and NY areas.